002 | Visualization Contests, Marathons, Challenges, Awards, Etc. Hi Folks, the second episode is out! First and foremost: thanks a lot for your kind and useful feedback! It’s fantastic to know you are there listening to us. In a way, it’s magic. A big thank also to to David Schroeder of pilotvibe.com for creating a jingle for Data Stories. Yes, we have a jingle now! In this episode we talk mainly about contest, awards, marathons, etc. (but don’t miss Mo’s rant at the end :-)). Some of you voiced the need to have more to see before listening to the episode. Here are the main visuals we discuss in details (click on the images to have a higher resolution version). As usual, let us know what you think. Criticism is welcome. 003 | How do you evaluate visualization? Again, well done gents. I look forward to hearing your thicker accents next time and to see how Google translator handles it. I wanted to make a comment about something on which you kind of got sidetracked on towards the beginning. 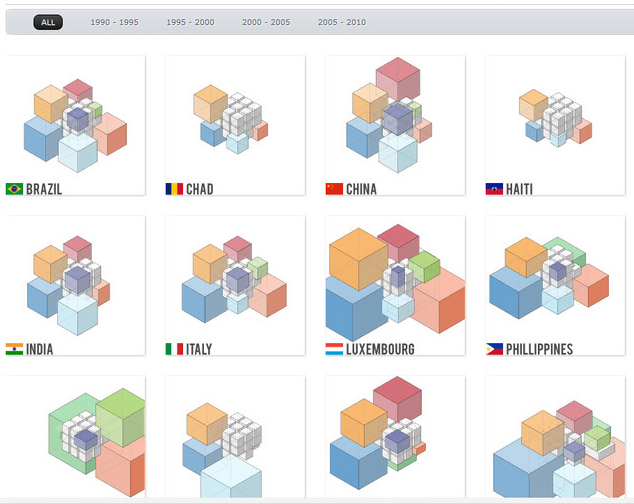 You were lamenting the type of person who enters these dataviz contests. I think the issue of selection is always going to be a problem in any sort of contest but the selection effect alone shouldn’t condemn the practice of contests as a whole. If students or freelancers or homeless Bavarians are the only people who enter contests, then so be it. If professional dataviz people (‘datavizors’?) or academics want to enter (and at the right price, some certainly would) then the contests–and the results–would be the better for it. Just another note: I’m not sure if you noticed, but Nielsen entertainment just opened a dataviz contest (http://www.nielsen.com/campaigns/data-visualization-contest.html) with the broadest parameters I’ve ever seen. I go back and forth on this, but my current leaning is that this is a bad sort of contest. Instead of saying, “Here is a bunch of data and we want you to answer/shed light on this question” they instead say, “Here is a bunch of data; have at it.” In my mind, the tension here is whether dataviz (contests, in particular) should be a data playground or should try to answer a (hopefully important) question. Anyways, looking forward to the next episode. Good to hear the exotic European voices again. 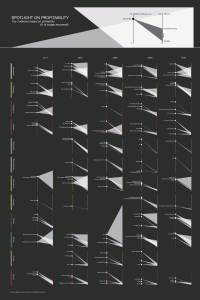 You’ve talked about amazing contests on data visualizations. I followed through most of the links while I listened to your podcast. It really helped understanding more of the content of your talk. I believe you are going to talk about the tools to use for data visualizations in the coming weeks. I would also like you guys to look onto the the platforms (the devices) that we visualize on. Most of the visualizations we see around are designed for normal laptop/PC monitor sizes. I would think the visualizations could be totally different on mobile devices. You could highlight on designing for mobile screens too, I guess. I look forward for the next podcast. I enjoy your podcasts very much. I have a question and a suggestion: I, and assume some others in this field, have issues with looking at your work objectively and critically, probably because of looking at it so long or being attached to their own work. What do you do? Secondly, I thought it would be interesting to hear if you guys criticise each other’s work and go a bit outside of the comfort zone. Have you found this to be common practice? It makes me want to run and hide from this contest. How does it make you feel? 2. You mentioned that it would be great to have more interaction and collaboration between practitioners and academics in this field. Any thoughts on how these types of relationships can be initiated — short of a Match.com for data viz? 1. Length. 45 minutes is far too long. 25 min is the standard for the podcasts that I listen to. It is just right for the short commutes or for 5-7 km jogging. You should also keep the rule: one (max. 2) topics per podcast plus maybe some short news from datavis world – it makes the content much more clear. 2. Script. I have the impression that you do not know what you are going to talk about. Do you discuss the topic prior to the recording? Do you have a script with all the points that you want to discuss? Do you know in advance what topics you agree or disagree on? I do not know what others think, but I would prefer shorter and maybe less frequent podcast, but better scripted. 3. Enhanced podcast. I totally understand that you are not producing video podcast, but how about an enhanced podcasts synced with images of the visualizations? I guess that only Apple devices can read them, but how many of your listeners use their ipod/ipads/itunes to listen to Data Stories? Listening to your podcast on the train, being offline and trying to imagine what the “spotlight on profitability” looks like is just ridiculous! It is like describing in words the taste of strawberries to eskimos. 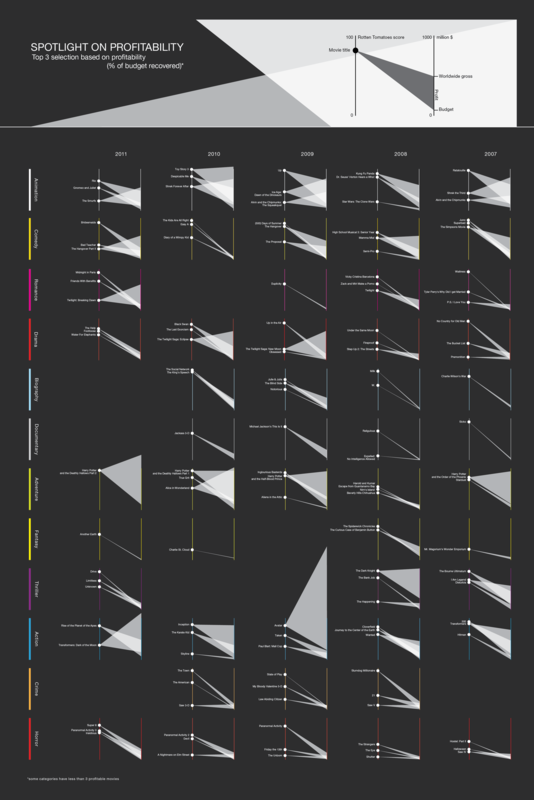 Datavis is visual and you MUST embrace it! Regarding the competitions – I totally disagree with you. I have never taken part in any competition, but I would consider to do it, because it is additional motivation to start being serious about datavis. In my opinion, they encourage beginners to take their first steps in the vis science and the experienced datavis designers to deepen their knowledge. I see why pros like you may find them superfluous, but competitions make the entry for others much easier. Please do not take my critic personally. I absolutely admire your work and your podcast – keep on doing this!! !